How much money is Jay Leno worth? Jay Leno is a successful American stand-up comedian and television talk show host, perhaps best known as the long time host of the Tonight Show. Jay enjoys collecting and restoring classic automobiles, and is thought to own somewhere in the neiborhood of 100 cars and 70 motorcycles. Tonight Show Salary Breakdown: 2010 ($25 million), 2009 ($22 million), 2008 ($20 million), 2007 ($20 million), 2006 ($20 million), 2005 ($20 million), 2004 ($20 million), 2003 ($20 million), 2002 ($15 million), 2001 ($15 million), 2000 ($12 million), 1999 ($10 million), 1998 ($5 million), 1997 ($5 million), 1996 ($5 million), 1995 ($3 million), 1994 ($3 million), 1993 ($1 million), 1992 ($1 million). Personal Information: Born in New Rochelle, New York on April 28, 1950, his full name is James Douglas Muir Leno. 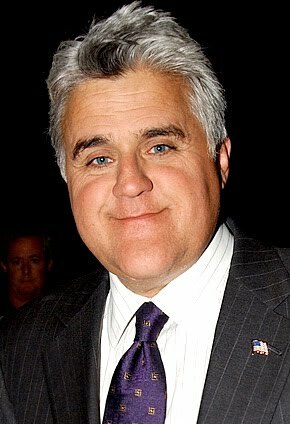 0 Response to " Jay Leno Net Worth "